Newspaper editors love features like "Six hours in Dubai." 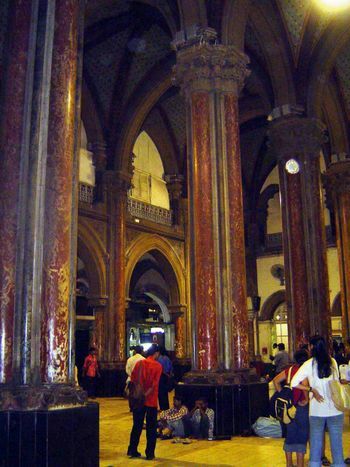 Well, if you have 6 hours in Bombay (Mumbai, if you prefer) and incline to architectural monuments, your tour must begin with a visit to the VT, or Victoria Terminus, India's (and arguably the world's) grandest railway station. Since 2004, it's been on the UNESCO World Heritage List. Across the street from it is a fine companion, the Municipal Building. 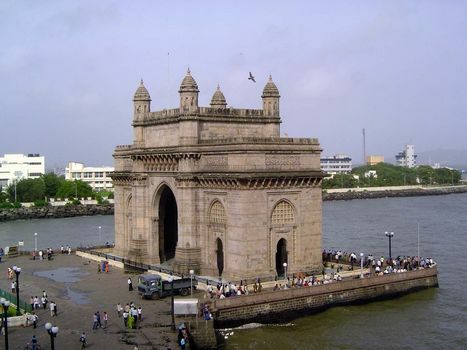 The other "must see," a few blocks to the south, is the famous though disappointing Gateway of India. We'll look at it here but then turn to the hotel across the street from it. It's the Taj Mahal, India's most famous hotel. 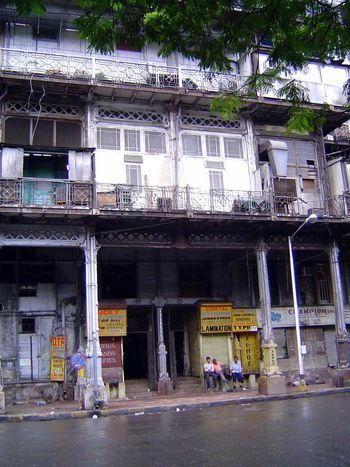 We'll squeeze in a peek at Watson's Hotel, too, an absolute wreck today but responsible for the creation of the Taj. 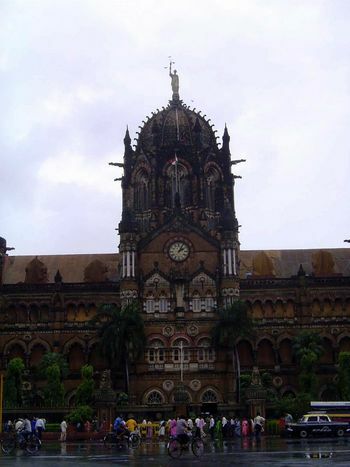 This is the railway passenger's introduction to the VT, since 1996 officially the CST, or Chhatrapati Shivaji Terminus. 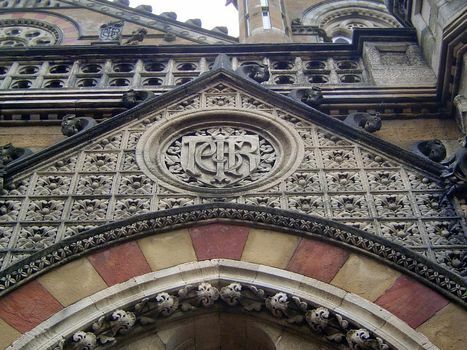 The new name comes from the national hero of Marathi speakers: Shivaji in Maharashtra today is as widely commemorated as Gandhi and is probably a lot more popular, at least among the fervently nationalistic. 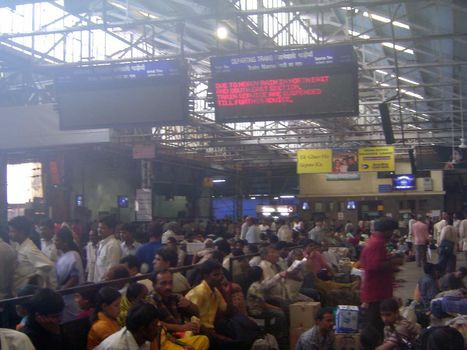 South of the railway platforms are the ticket hall and general offices of the Great Indian Peninsular Railway, once private but long ago nationalized. Another (much older) view of the structure, which was designed by Fredrik William Stevens, a very lucky government architect who was seconded for this project to the GIP Railway Company. 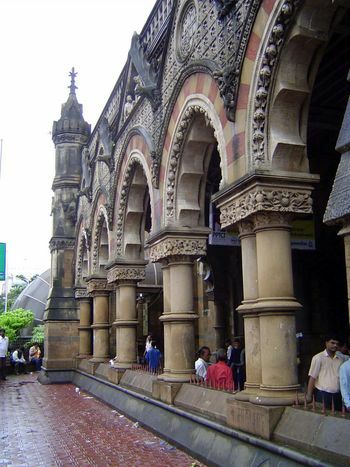 The building was completed in 1888 at a cost of 300,000 pounds. The photo is from 1980. A statue of Progress--who else?--tops the dome. It was by Thomas Earp. 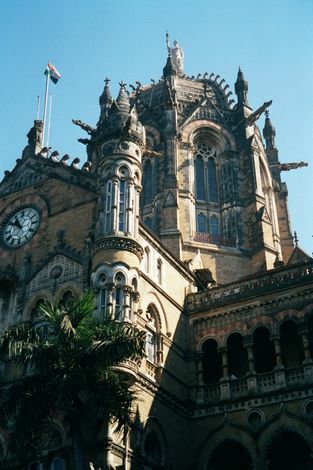 The dome, by the way, is a rarity on Gothic buildings. 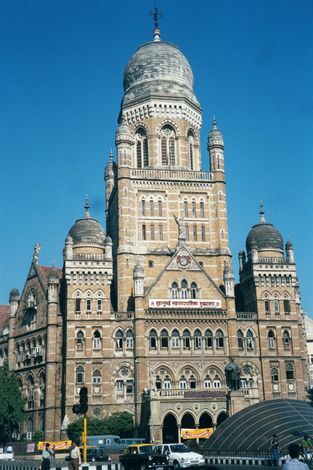 Andreas Volwahsen, in Splendours of Imperial India (2004), p. 134, suggests that Stevens borrowed it from Sir Gilbert Scott's plan, never executed, for a parliament building in Berlin. The complex logo can be disentangled to GIPR. 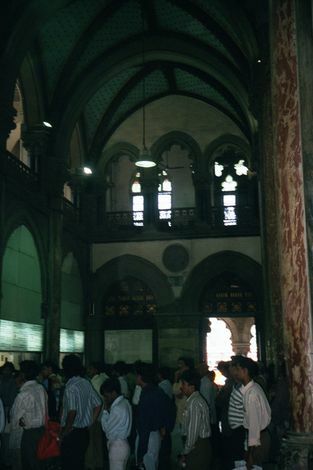 The outside of the ticketing hall echoes the Doge's Palace in Venice. 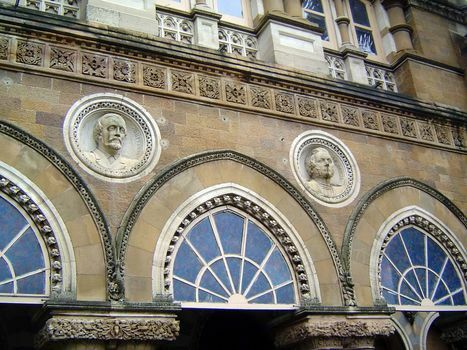 It also commemorates government officials, in this case Lord Dufferin on the left and Lord Dalhousie on the right. 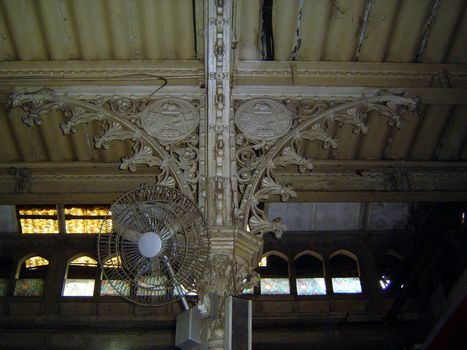 Even the utilitarian railway sheds are ornamented, as with these brackets. The ticket office is a commuter's cathedral. Customers seem awed enough to queue instead of scrum. 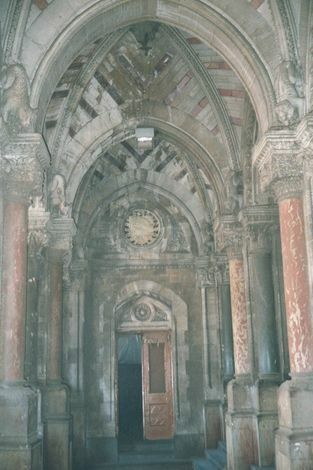 A quiet interior hall. Why so quiet? Most of the structure is off-limits and tightly guarded--ironically so, since detailed floor plans are included in the World Heritage Site nomination documents, available on UNESCO's website. 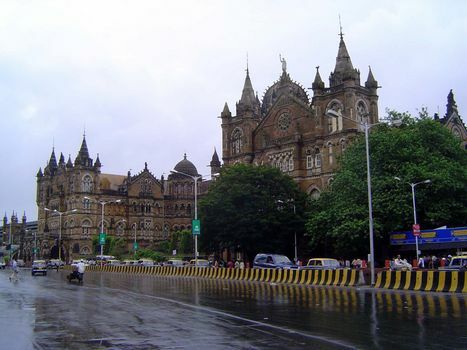 Across the street are the Bombay Municipal Buildings, also designed by Stevens, and completed in 1893. 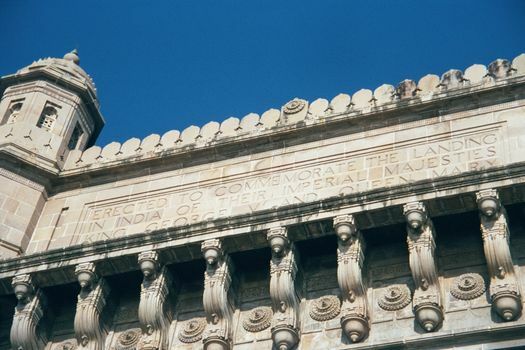 The statue on the gable boasts: Urbs prima in Indis. 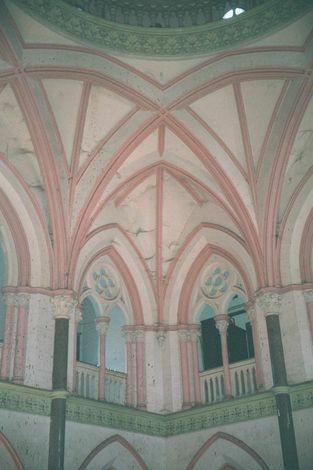 The Mughal dome, by the way, is not just decorative: it holds water tanks that were installed not only to extinguish fire but also to counterbalance the building's hydraulic elevators. The interior, now in colors that would send Stevens to his cardiologist. Half a mile to the south, we've come to the Gateway of India. Don't think it's some venerable antiquity: it was opened in 1924 by Lord Reading, the viceroy of the day. Though faced in Gujarati yellow basalt, the core is concrete. The Gateway appears in a million tourist-promotion photographs, but it's really pretty barren, not to mention wrapped by very murky seawater. 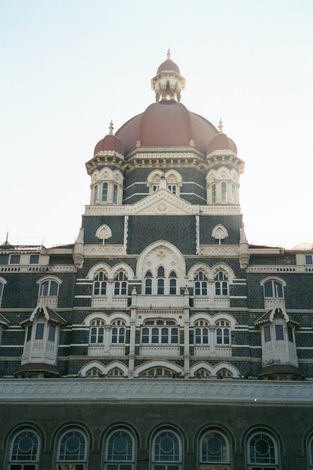 An earlier version, in plaster, was built in 1911 for the visit of George V and Queen Mary--the first visit ever to India by a reigning British monarch. 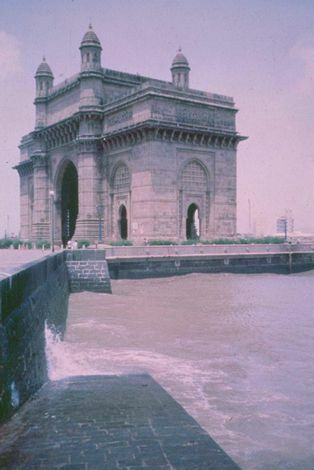 The gateway was then rebuilt by George Wittet as a permanent structure, but by the time all the thousands of yellow basalt blocks had been delivered from Gujarat and stacked for the masons, there wasn't much imperial pomp left. 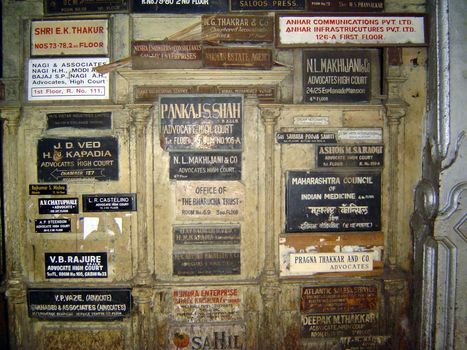 The lofty but pedestrian inscription. Lord Sydenham, who was governor of Bombay at the time of the royal visit, recorded the origin of the structure in his memoirs, (My Working Life, 1927, pp. 263-4). 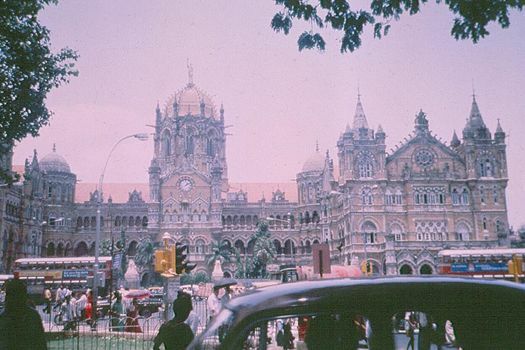 "His majesty asked me if it would be possible to replace in marble the temporary buildings which had been erected to mark the Gate of India, so as to form a permanent memorial. I undertook that this should be done, and the Viceroy promised the assistance of the Government of India. An excellent design was prepared by our architect, Mr. Wittet, and Mr.(now Sir E.) Lutyens made some valuable suggestions which were incorporated. Thanks to a generous gift from Sir Jacob Sassoon, I had eight lakhs (over 50,000 pounds) at disposal to carry out the wishes of His Majesty. Behind the gateway, on the area occupied by the amphitheater built for the spectators at the reception, there was to be a beautiful public garden, backed by a curving loggia in white marble to be added later." Sydenham goes on to explain that "the orientation of the gateway was afterwards altered to bring it at right angles to the road leading into the city; which threw it out of harmony with the garden scene, and by requiring a new sea wall added greatly to the expense." 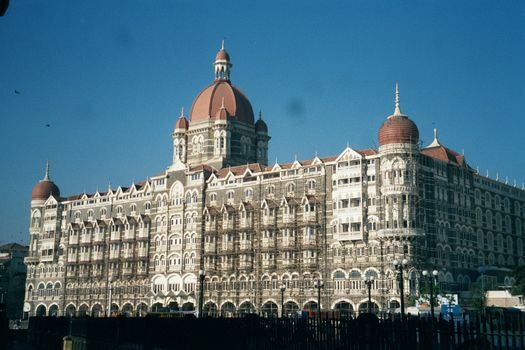 The Taj was built at the order of Jamshedji Tata, a pioneering Indian industrialist who, returning home from Paris, was denied entry at Watson's Hotel. He took his revenge by building his own--and driving Watson's out of business. 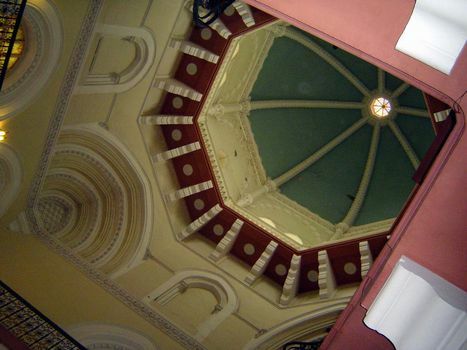 The interior of the hotel's dome. 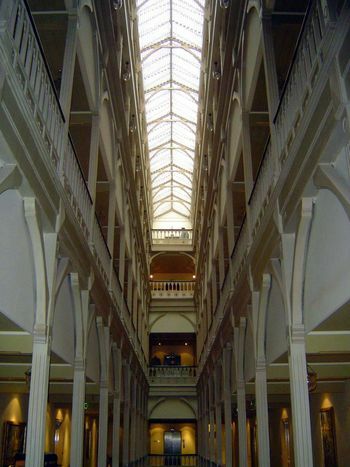 To avoid dank and dark corridors, the rooms are reached by hallways flooded with overhead light. 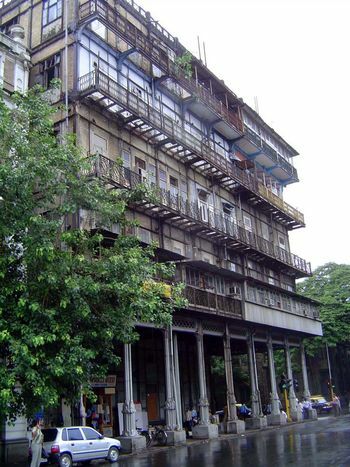 And here, very much the worse for wear, is Watson's Hotel, on Mahatma Gandhi (formerly Esplanade) Road. 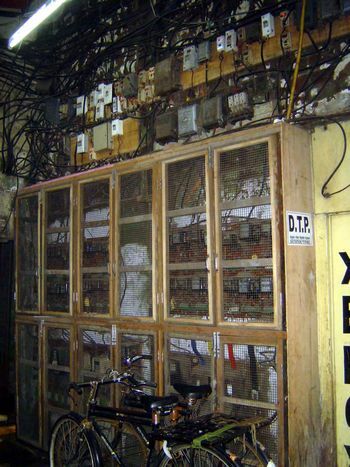 Think the wiring's up to code? 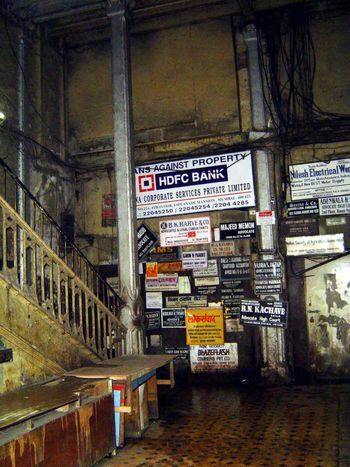 Signboards for the building's present tenants. View of the entrance from the street.